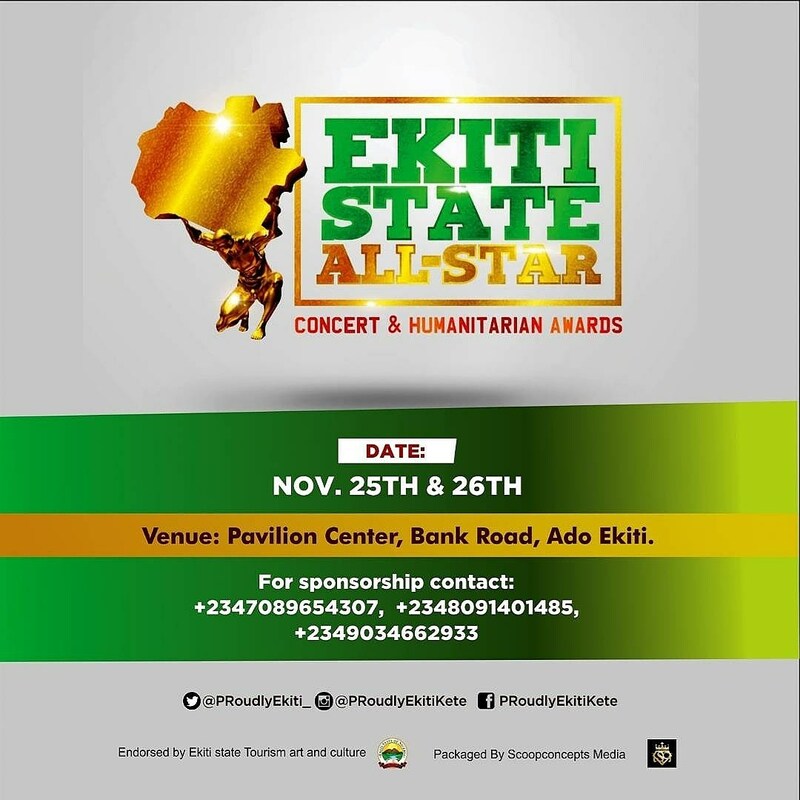 We are delighted to inform you about the maiden edition of “EKITI STATE ALL-STAR CONCERT AND HUMANITARIAN AWARDS 2017”, an entertainment and award ceremony set aside to celebrate illustrious sons and daughters of the Ekiti State, who have blaze the trailed in their chosen fields as entertainers and ambassadors of the state. At the concert, we will be celebrating the likes of Odunlade Adekola, Yinka Ayefele, May D, Falz, Fliptyce, Puffyee T, Tope Tedela, Abayomi Alvin, Niniola, Mc Prof, Fade Ogunro, Teniola, Victor Olaiya, Mosunmola Filani, Foluke Daramola, Bose Olubo, Kola Praise, Geeboi, 2in1, Femi solar, Payroll, Peju daramola, Peju Ogunmola, Jazzman Olofin, Bukky Fagbuyi, Aare Afe Babalola, Dr Ayo Fayose, Chief Peter Fatomilola, Phlex, Seun Akindele, Biodun Caston Dada(publisher Acada Magazine), Mr Akin Adeoya (Publisher M2 magazine) Sade Adu, to mention a few. Celebrities of the state will perform at the event, which is billed to take place on Saturday 25th November, 2017 at the Pavillion Center in Ekiti State and the Humanitarian Awards on 26th November 2017 at AB CIVIL CENTER Hall Ado Ekiti. 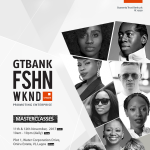 The event is packaged by ScoopConcepts Media and Endorsed by The Ekiti State Bureau of Tourism, Arts and Culture. 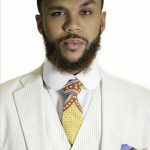 Powered by Blue Diamond Entertainment.